You're a believer in Jesus Christ. You've turned your life over to Him. You're experiencing tough times. What should you do? You're a believer in Jesus Christ. You've turned your life over to Him. You're experiencing good times. What should you do? 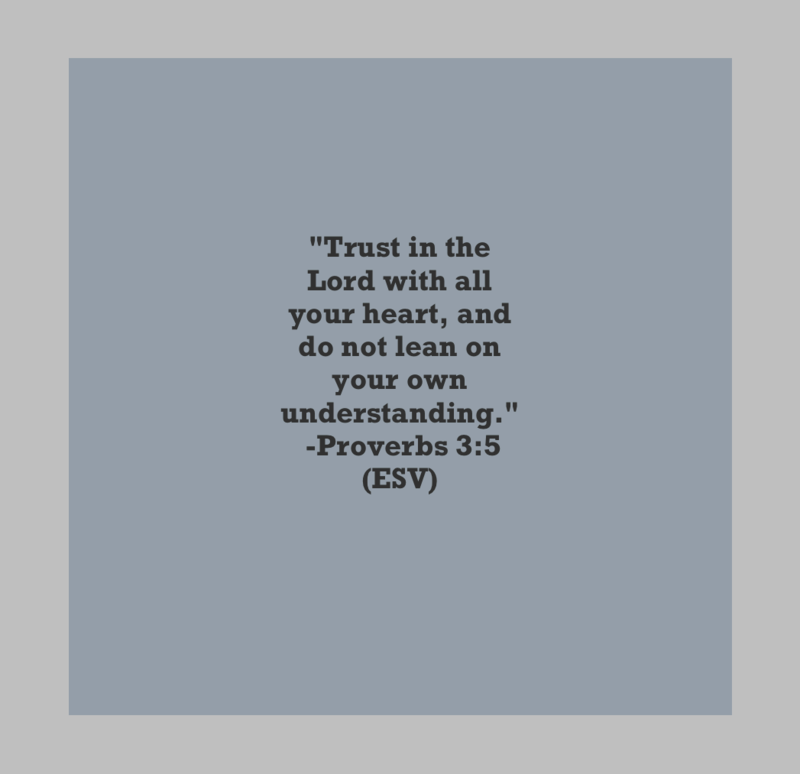 The answer to both questions above is to Trust in the Lord with all your heart and not lean on your own understanding. During good and bad times we should fully trust in the Lord. Not with a mediocre trust, but a full on trust that comes from within. And, we never, ever should trust in ourselves. Do you ever notice that you try to "fix things" when times are tough? Do you notice that you start forgetting about the Lord when things are going smooth? We should always be in fellowship with our Heavenly Father and fully trusting in Him whether we're experiencing good or bad times. If you are not already doing it, then begin fulling trusting in our Heavenly Father, today! God bless you and Stay Strong in Christ!